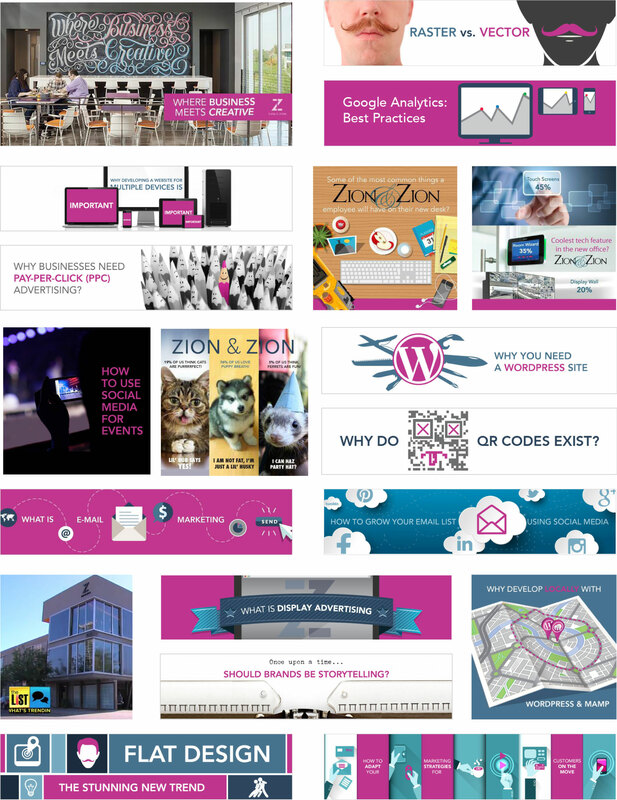 With new branding and a new custom building, Zion and Zion made a very large push at the end of the 2013 and into 2014 concerning their branding, web presence and thought strategy. I was put in charge of all illustrations and custom designed posts for the Zion and Zion social media and blog graphics. I limited the color palate down to the two primary brand colors to help develop brand recognition and tried to keep all the photography in a similar style to help instill the brand in all visual communications.